Or view larger version. Untitled. April 19, 1906. Edward “Doc” Rogers. Photograph. Collection of Oakland Museum of California. Gift of Mrs. Alexander Young. This photograph presets a view looking down Market Street in San Francisco, California after the 1906 earthquake. 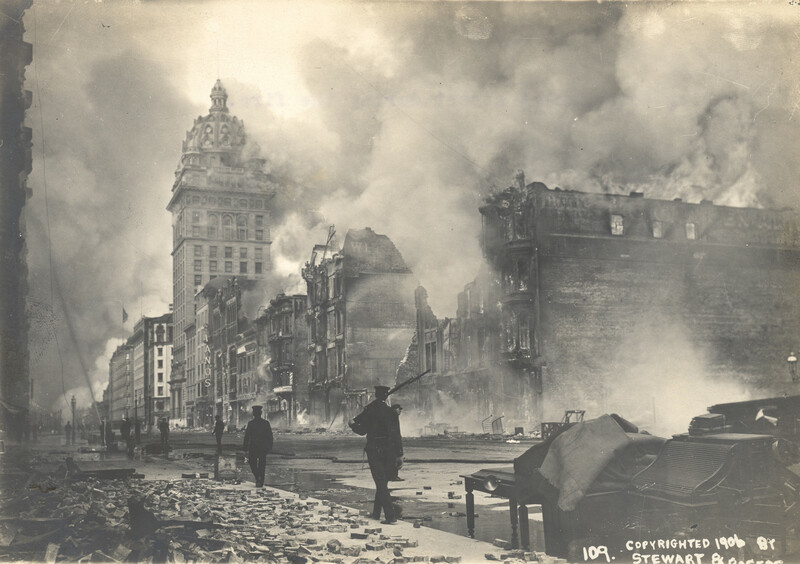 Immediately after the earthquake, many fires broke out around the city due to ruptured gas mains and dynamite being used to create firebreaks. There were approximately 25,000 buildings in some 500 city blocks destroyed by the fire.